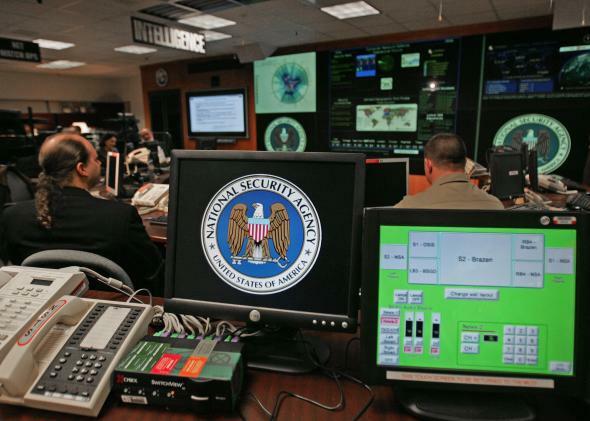 Fake NSA intern scares off mugger with appeals to furlough, domestic spying. NSA agents hard at work tracking down interns’ stolen cellphones. The Washington Examiner today has the perfect crime-blotter item for our historical moment. According to Examiner reporter Tim Mak, a petite, 95-pound woman who works at a D.C. nonprofit was walking home at night to her townhouse on Capitol Hill when a would-be robber grabbed her arm and demanded her wallet and cellphone. Rather than hand over the goods—she had both money and a phone with her—the woman spun the first lie that came to mind. She was carrying no cash, she told the robber—because she’s an intern at the National Security Agency. Everyone knows the spy agencies’ interns are on furlough, right? Oh, and as for her phone, which sported a pink-and-blue Lilly Pulitzer case: The robber was welcome to it, she said. But she thought he ought to know that the NSA would track it within minutes, and that this could cause some problems for him. The would-be mugger “just looked at me and ran away,” the victim told Mak. It goes without saying that this is not, in general, the recommended strategy for dealing with violent muggers. But on this day, in this city, under these circumstances, it worked on one gullible crook who has apparently been keeping up with the news.